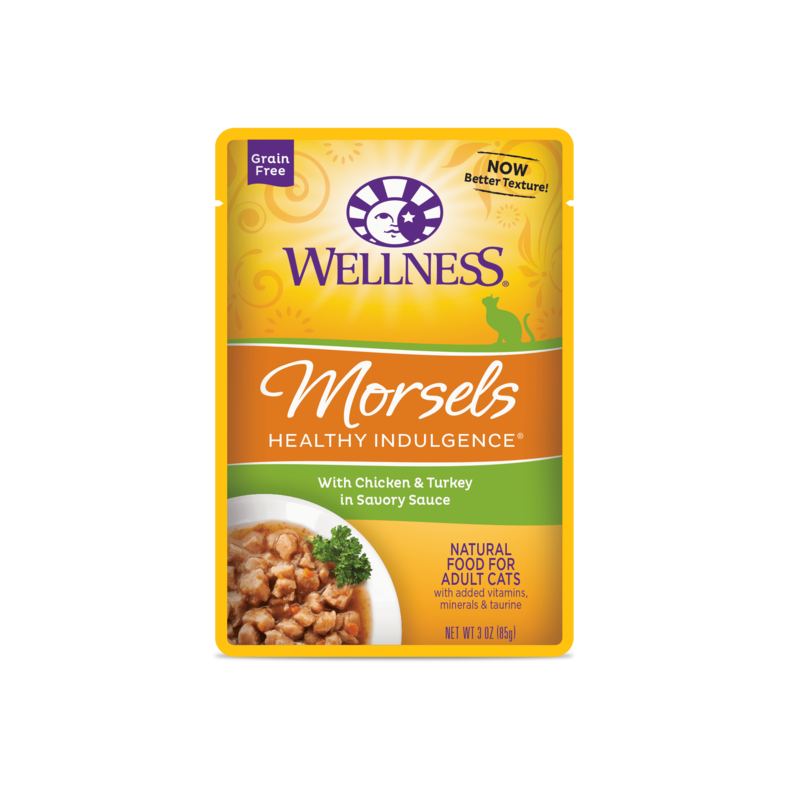 Wellness® Canned Turkey Recipe is an excellent source of high quality protein, made with high quality turkey free of added growth hormones and steroids. We use turkey as our most plentiful ingredient because it is a flavorful, digestible protein source. Our Complete Health recipes are carefully formulated with healthy, natural ingredients plus super nutrients to provide whole-body nutritional support. Each tasty recipe features quality protein, Omega 6 & 3 fatty acids and is formulated to be easily digestible so the body absorbs food’s vital nutrients. 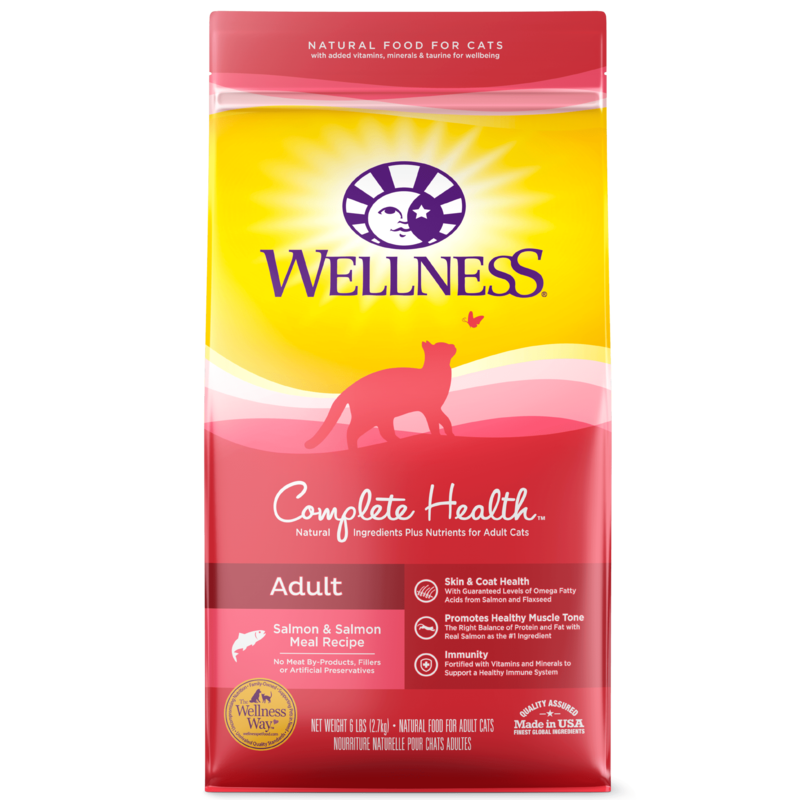 Available in a variety of sizes and flavors, these complete and balanced recipes provide uncompromising nutrition for your pet’s unconditional love. For adult cats, feed 170g per 3kg of body weight per day. Feed at room temprature and refrigerate unused portion. Your cat should always have access to clean fresh water. For adult cats, feed 156g per 3kg of body weight per day. Feed at room temprature and refrigerate unused portion. Your cat should always have access to clean fresh water. For adult cats, feed about 170g per 3kg of body weight per day. Feed at room temprature and refrigerate unused portion. Your cat should always have access to clean fresh water. 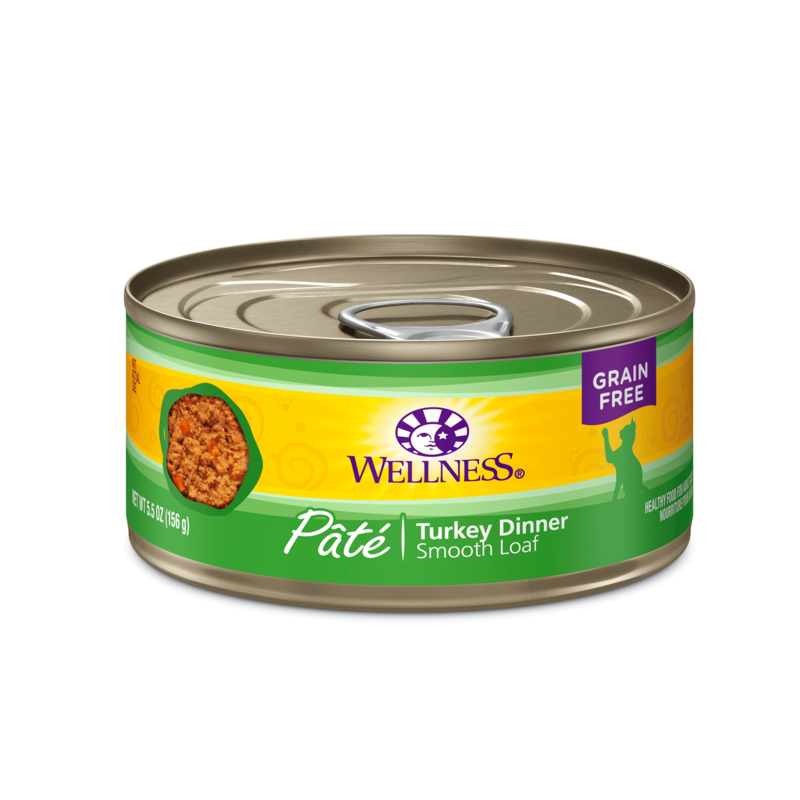 Wellness® Canned Turkey Recipe is formulated to meet the nutritional levels established by the AAFCO Cat Food Nutrition Profiles for maintenance.